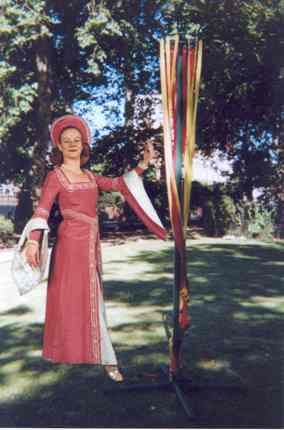 Maypole parties/historical dance parties/a ballet in an hour. Noel owns a portable 24 ribbon Maypole. Children from 8 to 80 years old love learning the intricate patterns, fun and laughter guaranteed. Historical dance parties, banquets, school fetes, bazaars, T.V. dramas, childrens parties and themed events. Tailor made packages catered for.